Milton Keynes: Britain’s youngest, technically unofficial, "city" has a habit of making headlines for all the wrong reasons—routinely being laughed at for having fields populated with concrete cows and being a mecca for roundabouts. 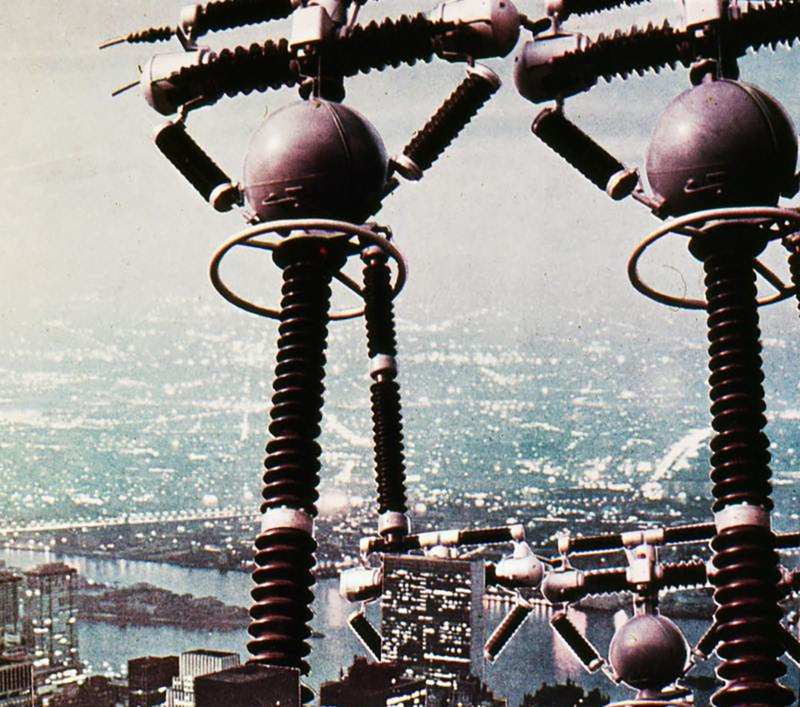 Yet the New Town was regarded with its grid road system as the avant-garde of planning upon its birth in 1968. Heroic ambitions cast aside, it has since been derided for embodying all the faults of top-down planning and for later becoming a developer-friendly business park. In 1999, a new cultural establishment, the MK Gallery, opened on the edges of Midsummer Boulevard, but it was never quite able to latch onto the spirit of a new Millennium. Milton Keynesians’ search for something new to shout about went on. And so arrives the extension and re-jig of the MK Gallery from British architects, 6a. It’s a box, much like most of the area’s buildings, but the gallery’s glimmering facade emerging from the surrounding greenery hints at something much more tantalizing. “We wanted to make a building that was utterly Milton Keynesian,” Tom Emerson, founding director of 6a architects, told The Architect’s Newspaper. 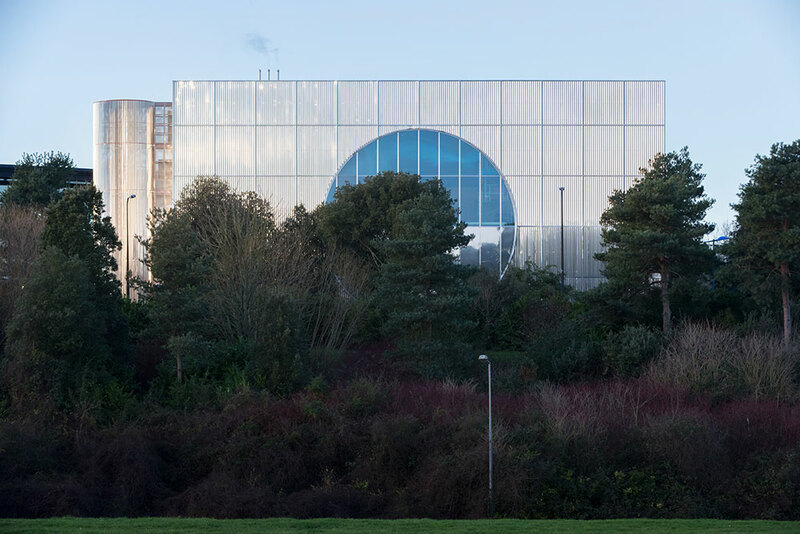 “The prototypical building of Milton Keynes—from the shopping center to the [Milton Keynes Development Corporation] design offices—is the steel frame shed and its variations.” 6a employed polished steel to clad the new structure, folding it incrementally to reflect literally and metaphorically Milton Keynes’s grid plan. “Sometimes it kind of radiates light and color from the most unlikely sources. It is very much alive and dynamic,” added Emerson. Already the gallery has been nicknamed the "tumble dryer" by locals—such is the British predilection for giving new buildings colloquial monikers. The gallery hasn’t even opened yet, but the nickname suggests residents are warming to it already, eager to embrace it as an MK building. The nickname derives from a circular motif in the facade, which has been split horizontally to form a giant, semi-circular window. “The circle is the most explicit form used in the design of Campbell Park, which the gallery overlooks. There are circles and cones everywhere,” said Emerson. “As the gallery is the last building along Midsummer Boulevard, we wanted to make it a simple meeting of the two forms; the grid of the city meets the circle in the landscape.” Retaining the original structure, the architects have more than doubled the gallery’s initial size. Inside this becomes apparent through five new double-height galleries, the first reaching 30 feet high, the rest 20 feet, all coming together to provide more than 5,300 square feet of exhibition space. The new, re-energized MK Gallery, however, posits itself as more than just a space for hanging art. A new auditorium, known as the “Sky Room” will offer views over Campbell Park and double-up as an independent cinema. A new foyer, café, and garden have also been added. "The aim of the new gallery is essentially to appeal to a larger and wider audience," Emerson explained. "We realigned all the openings of the old gallery with the new ones in a continuous ‘enfilade.' The long axis through the building (with windows to the outside on either end) reflects within the building the spatial structure of the city itself." While it shimmers externally, inside, MK Gallery plunges visitors 30 years into the past with a color palette from a 1978 Habitat catalog. This is all thanks to artists Gareth Jones and Nils Norman, who worked with 6a on the scheme. It’s a bold move but one that emphatically pays off. Bands of greens, yellow, and browns form a lavish curtain lining, which partially engulfs the plywood-clad Sky Room; a fire escape spiral staircase has been painted bright red; internal stairs are yellow—minus the cigarette smoke stains from the ‘70s; bathrooms have been doused with maroon, brown, and emerald; and the white-walled café features a happy menagerie of hanging light spheres, red beams, yellow chairs, and pipework—a literal throwback to Milton Keynes’s now-defunct architecture department, once nicknamed the “Custard Factory” due to Norman Foster’s design. Nostalgic recollections of the past can often be saccharine, but not here. MK Gallery is an example of how to work with the recent past, celebrating it visually and marrying it with an exciting program, all of which has been packed into an architecture that reflects Milton Keynes today, while also priming it for tomorrow. MK Gallery opens to the public on Saturday, March 16. 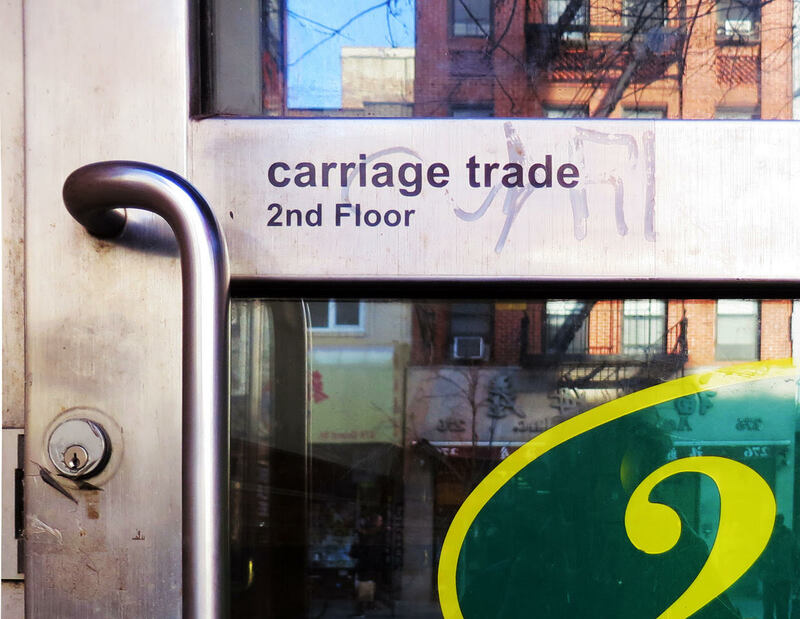 Carriage Trade Gallery at 277 Grand Street, New York, New York, is holding a book fair this weekend that will feature books, ephemera, and zines that will undoubtedly hold gems for those interested in architecture and design. The second-floor gallery just hosted an exhibition of Denise Scott Brown and in the past has featured shows that inhabit the territory between art and architecture. The fair should have a great many books and ephemera by artists on architecture that are insightful and provocative. The participating galleries and booksellers include: Christine Burgin New Directions Common Notions INK CAP PRESS Division Leap Kai Matsumiya Office Space 2 (Sunday only) prompt: Small Editions PDF null The Home School & The Song Cave (Saturday only) Saturday & Sunday, March 2-3, 2019, 1-8 p.m.
Like many of the most exciting young firms currently practicing across the United States, Schaum/Shieh, based in New York City and Houston, owes its existence to the financial crisis of 2008. In the immediate aftermath of the meltdown, Schaum/Shieh principals Rosalyne Shieh and Troy Schaum found themselves working as collaborators on speculative urban projects while attending graduate school at Princeton, where the pair shared studio space. Attempting to figure out “what happens when you ask a question no one tells you to ask,” according to Shieh, the pair was driven toward the “protected space” of academic work by prestigious fellowships—Shieh at Taubman College in Michigan and Schaum at Rice University in Texas—in an effort to bolster professional experiences that included stints at Abalos & Herreros and OMA, respectively. After becoming licensed and spending their fellowship years incubating their practice, the pair fortuitously landed a spot exhibiting a project in the 2012 Venice Architecture Biennale, a platform that propelled their budding firm into the realm of client-based work. In the intervening years, a mix of bespoke design and meditative restoration work for institutional clients like the Donald Judd and Chinati Foundations—as well as commercially driven work for private clients—has kept the firm busy exploring multiple facets of architectural production. Driven by an intense curiosity and interest in the blend between high and low architectural culture, Schaum/Shieh continues to build its ever-elusive catalogue of offbeat work. Over time, the two architects have learned when to hold back. Schaum explains: “Restraint is [a] remarkable lesson for young architects to learn. [You realize] there are moments when we need to step back and not do certain things.” White Oak Music Hall One of the firm’s largest commissions to date is the White Oak Music Hall in Houston along Little White Oak Bayou north of the city’s downtown. 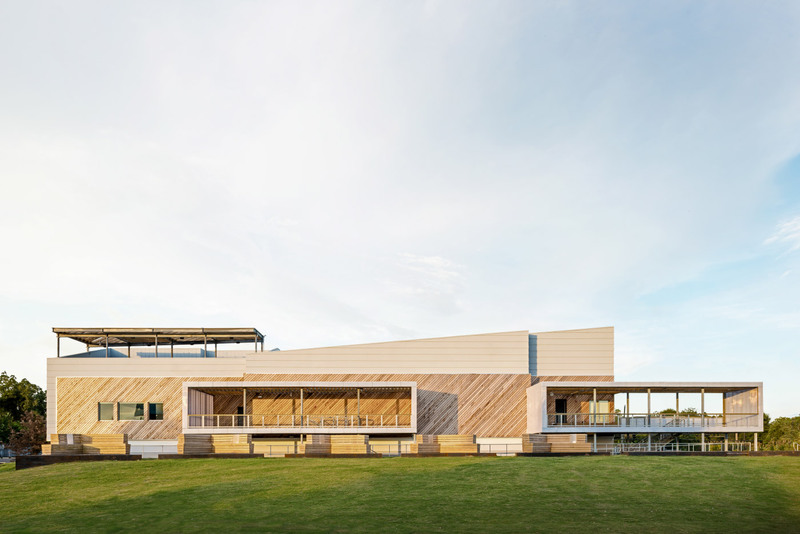 Completed in phases between 2016 and 2017, the multistage music and event center features a pair of indoor stages that can house a combined 1,400 spectators, and a 3,800 capacity outdoor amphitheater built into the natural topography along the Bayou. The bar-shaped clapboard and wood plank-wrapped structure spans across the edge of its urban infill site and features balconies and open-roof decks that face toward the Houston skyline. An on-site industrial metal warehouse and steel tower were recently converted into a small music venue and bar as well. Transart The architects recently completed work on the 3,000-square-foot Transart Foundation for Art and Anthropology in Houston’s museum district, a complex that seeks to treat the “white box gallery as a problem” by introducing softness of form and visual instability to the otherwise staid building type. 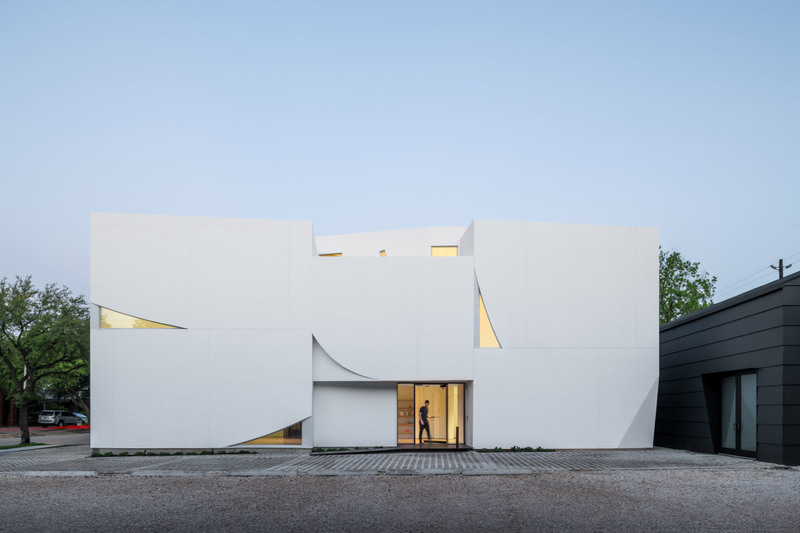 The private arts foundation and gallery is spread out across two structures, including a new three-story edifice crafted out of super-size stucco panels. The building’s stucco walls feature clipped corners and upturned edges that reveal triangular windows designed to bring direct light into the galleries and support spaces. 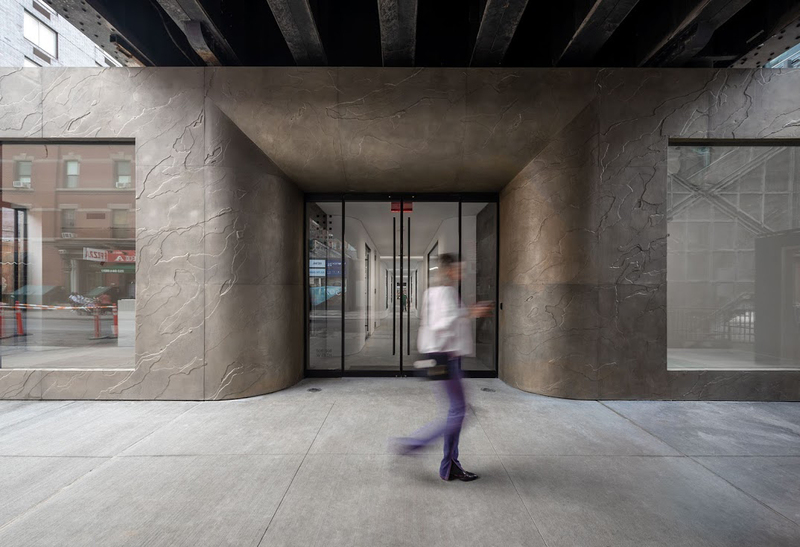 The new structure is buttressed by a 1,200-square-foot studio and apartment located within an existing structure that was re-skinned with cement panels and a standing seam roof. Judd Foundation The multifaceted firm has worked for several years on collaborative projects involving the restoration and rehabilitation of several of Donald Judd’s studios and installed spaces in Marfa. What started as an effort to “responsibly finish and maintain” Judd’s architecture office quickly morphed into a wide-ranging collection of restorations and long-term planning efforts led by the Judd Foundation for more than a dozen buildings in the town. Over time, the high-profile, low-visibility restoration and conservation-focused work became an “invisible exercise that led to a conversation you can't ever see,” according to Schaum. The architects sought to create a “Texas model” for restoration that was flexible enough to include off-the-shelf components as well as innovative solutions that stand apart from prototypical, white-glove restoration work. 420 20th Street Always eager to take on diverse projects, the firm has also tried its hand at updating the ubiquitous strip mall. Their project at 420 20th Street in Houston aims for an understated refresh by converting an abandoned 1950s washateria into a collection of bespoke storefronts. For Shieh and Schaum—both children of American suburban landscapes—the discarded 5,200-square-foot laundromat represents a type of “common” architecture that many architects are too often happy to avoid. Instead, Shieh views strip malls like this one as “a type that can be transformed, developed, and worked with,” part of an amorphous urbanism that runs counter to “traditional urban legibility,” but in a good way. For the project, the team opted to replace the building’s storefronts with new components, including custom steel and wooden door handle elements. New planters were also embedded in each of the building’s exterior columns, while the structure’s historic brick detailing was brought out with new paint and a mural. Inside, each of the serially arranged shops is separated from the others by expanses of clear factory windows that allow views through the entire structure. 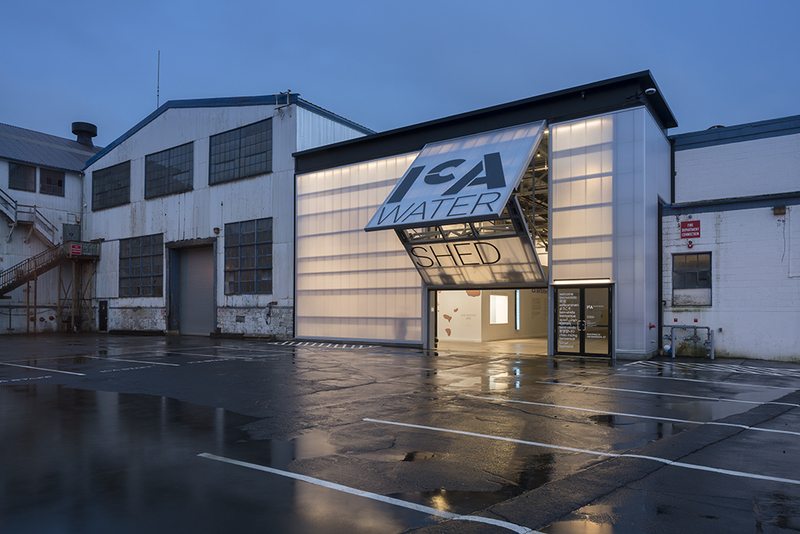 The Institute of Contemporary Art/Boston will soon occupy both banks of the Boston Harbor (Seaport and East Boston) as its exhibition space, ICA Watershed, opens to the public on July 4. The new extension was designed by Cambridge-based studio Anmahian Winton Architects. The 15,000-square-foot Watershed will showcase contemporary art and was built from the ruins of an abandoned copper pipe and sheet metal facility known as the East Boston Shipyard. It is accessible by water taxi, car, and public transportation, and will open every summer from late May to early October. Anmahian Winton tore down most of the Watershed’s derelict predecessor but preserved some of its iconic elements, such as the crane, monorail hoists, and railroad tracks. They also incorporated new industrial materials such as the translucent polycarbonate walls for the facade. The architects wanted to challenge the customary “white room/black box” gallery setting and introduced an unpolished industrial space for exhibiting Boston-specific artwork. According to a statement from Anmahian Winton , “a 250-foot-long slot skylight shines through new steel trusses, allowing light to wash down the richly textured concrete-and-cinderblock surface of an existing wall that had once supported the loading and unloading of rail cars running through the building.” Each of the two end walls are particularly emphasized and hold monumental hangar doors that can be raised to open up the gallery to the shipyard and harbor. The Watershed’s inaugural exhibition was created by Los Angeles-based video artist Diana Thater. Her site-specific installations transform architectural space through projected videos. Thater’s piece at the Watershed will explore themes of nature and perception through moving images, light, and color. 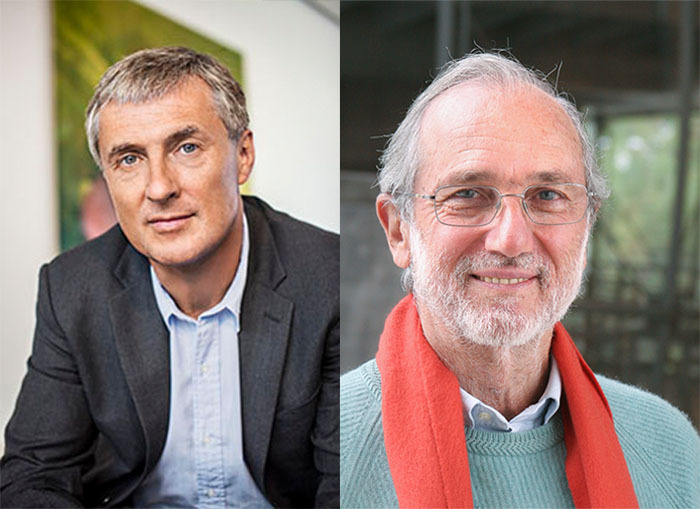 Art dealer David Zwirner has announced plans for a new, five-story, $50 million gallery to be designed by Renzo Piano. The gallery will rise on a corner lot at 540 West 21st Street that is currently under demolition. The developer is Casco Development, and the gallery will be linked to a 20-story residential tower but stand as a separate structure. The gallery building will be constructed close to Zwirner's current galleries in Chelsea, which includes one on West 19th Street and one on West 20th Street. Zwirner also owns a gallery on the Upper East Side, and is set to expand in Asia, with a gallery opening in Hong Kong on January 25th. Including the West 21st Street gallery, this would bring the total number of his galleries to seven worldwide. Zwirner indicated that after the opening of his new gallery, he would probably close the gallery space on 19th Street, which he rents. As Zwirner told The New York Times, Piano is "one of my great heroes." Zwirner, who previously worked with Annabel Selldorf on his current galleries, also said that Piano was the developer's choice. While Piano is well known for his museum projects, this will be the architect's first commercial gallery. Zwirner is one of the art world's most successful dealers. This five-story building, with three floors dedicated to gallery space, would serve as a kind of calling card and headquarters for his art empire. While the design process is in the early stages, Piano told the Times that his design would emphasize “a visual psychological connection between the building and the street,” as in his design at the Whitney Museum of Art. The news comes as Zwirner prepares for a 25-year anniversary exhibition, opening this weekend on January 13th. The new gallery is scheduled to open in the fall of 2020, with groundbreaking expected sometime this spring. 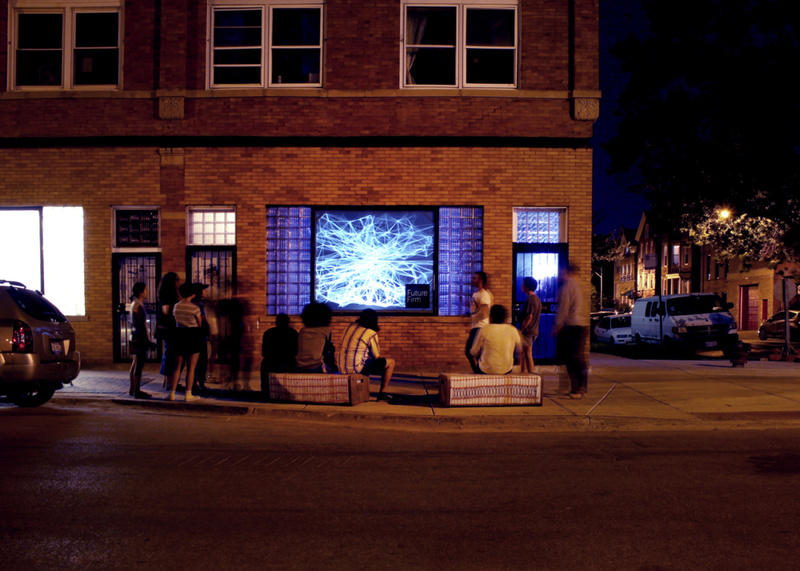 On a quiet street on Chicago’s South Side, a six-foot-by-seven-foot screen glows every night from sunset to sunrise. The glowing storefront window is known as The Night Gallery. In month-long installations, The Night Gallery projects architectural visualizations ranging from algorithmic generative drawings to looping coded animations. 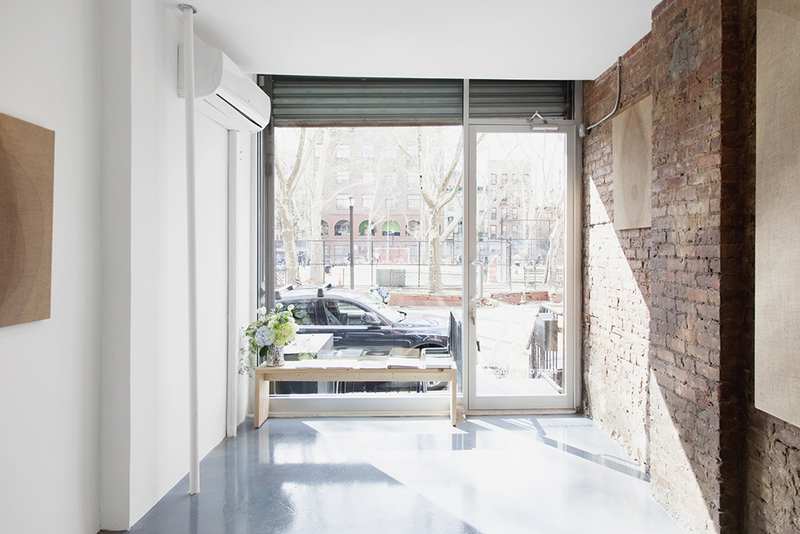 The architecture office Future Firm hosts The Night Gallery on its storefront. The young practice launched the gallery in May to showcase the works of other young practices dabbling in video. 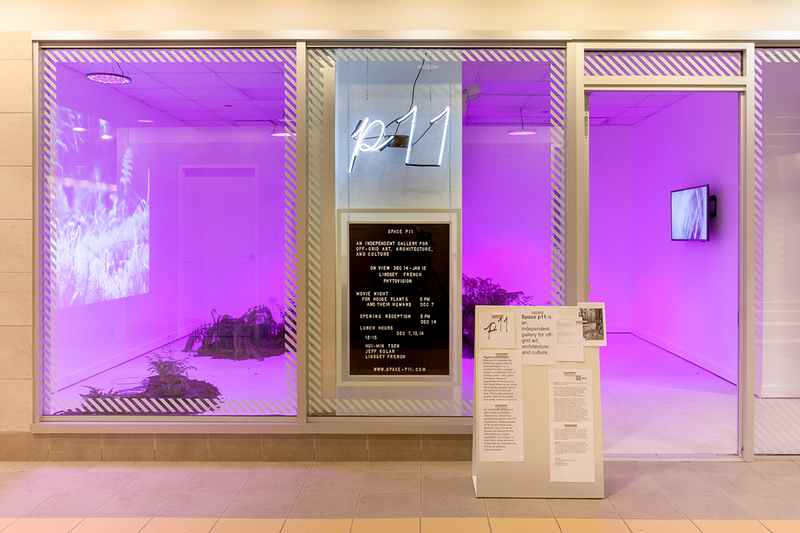 The current show, opened last Friday, is entitled An Algorithm for Living in. Produced by Los Angeles–based speculative designer Lee Cody, the show explores the “space of your google search history.” Past shows include When the Drawing is Moving by Carl Lostritto and Another Campo Marzio by Outpost Office. When the Drawing is Moving explored randomness in computational animated line drawings. Another Campo Marzio uses coding software to reexamine Piranesi’s classic Campo Marzio etchings, re-configuring urban fragments into a continuous streaming animation. The next two installations will be The Enchanted Forest: Satellite Canopies and Digital Understories by Jenny Rodenhouse and (Another) Rear Window by BairBalliet. The final installation, which will run through November, has yet to be announced. The Night Gallery launches a new installation on the third Friday of each month. Every new show starts with a gathering along the sidewalk in front of Future Firm to hear comments from the artist. The next opening will be on August 18th, but each ongoing exhibition can be seen every night. The Night Gallery and Future Firm are located at 3149 S. Morgan St. in Bridgeport, Chicago.